Jess Whelehan and Ceire Sadlier became friend in secondary school almost 20 years ago and have been harvesting stories ever since. Ceire now works in Community Development and as a Freelance Journalist and Jess works as an Assistant Director in the Film and Television Industry, they are both living in Dublin. With “Story Bud” they share the stories they have accumulated during their friendship, occasionally bringing in their fascinating friends for chats. Stories and observations on how life can be hilarious, frustrating, and often completely ridiculous ! 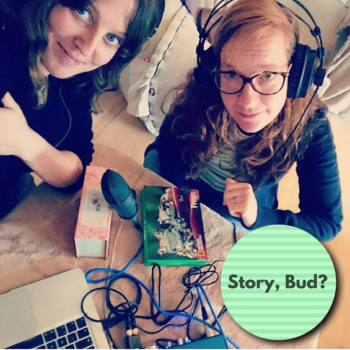 This will be their second season of Story Bud, hosted by Near FM, the first season is available wherever you get your podcasts.